Istanbul — Turkey’s plastics processing industry, probably more so than any of its other large global competitors, is heavily dependent on imports. Between 2003 and 2015, for example, imports accounted for 79 percent of the $8 billion invested in plastics machinery , according to the Istanbul-based Turkish Plastics Industry Foundation, or Pagev. And in resin, the country imported $10.6 billion worth of polymers a year, while it exported just $1 billion, on average from 2012-2014. Imports supply more than 80 percent of Turkey’s plastic raw materials , Pagev said. Turkey’s plastics processing industry ranks among the 10 largest in the world, with processing capacity of about 8.3 billion pounds a year. That dependence on imports makes for a very competitive domestic market. 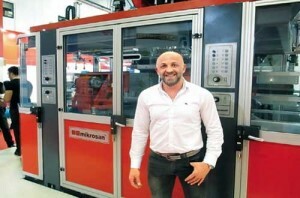 Turkish trade groups would like their country to have stronger materials and machinery makers to better support the local injection molders and other processors. Pagev, for example, wants the government to set up special manufacturing zones for foreign resin makers, particularly from low-cost feedstock areas in the Middle East, to manufacture in Turkey. But that proposal is running into resistance from some local Turkish raw materials makers, said Pagev President Yavuz Eroglu. Some Turkish executives say the country’s limited oil and gas resources make it difficult to develop much resin manufacturing capacity, especially in commodity polymers. There’s probably more chance for the local machinery industry to develop, and some companies in the sector are chipping away at the dominance of imports, particularly in extrusion and recycling equipment, industry executives say. But broadly speaking, Aksoy said there are big challenges for Turkish machinery firms.